The Registration "Arizona Cactus Cup " is not currently available. Semi Final rounds for all divisions with 6 teams or more. NOT guaranteed for odd divisions. 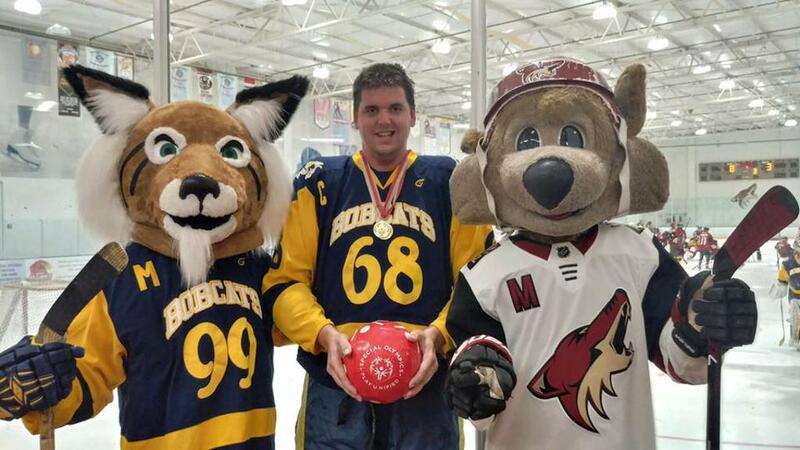 The Arizona Cactus Cup was thrilled to have Nick Borek, from the One Step Coyotes Program, help keep our pucks out of the nets and in tip top shape at AZ Ice Peoria during our tournament! Get to Know Nick Borek! Still Want To Order a Hoodie or Shirt? 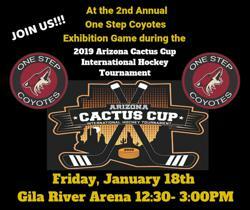 The Arizona Cactus Cup is proud to partner with the One Step Coyotes Program, Arizona's first special hockey team. We hosted an exhibition game at Gila River Arena, Friday, January 18th, 2019 @ 12:30pm. Live and On-Demand Game Videos. 4. Enter promo code: (Ice Dens ~Scottsdale & Chandler)-1680-0da3, (Oceanside)- 2342-f0e9 or (AZ Ice ~Peoria, Gilbert & Arcadia)- 065C-0666, in the Promotional Code box. ©2019 Arizona Cactus Cup / SportsEngine. All Rights Reserved.